Liverpool’s new signing Virgil van Dijk reminds Graeme Souness of Alan Hansen, arguably the greatest central defender that ever played for us. Our former Scottish midfielder, who won three European Cups during his stint at Anfield, has praised the £75m centre-back, who should remain in the side after his heroic debut. Last Friday, the Dutchman headed in a winner against Everton, in front of the Kop, in the FA Cup! “Van Dijk will make them more solid,” Souness wrote in The Times. 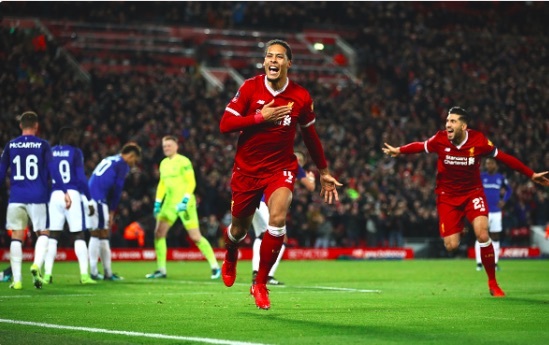 Van Dijk made mistakes on debut, but what impressed us most was the manner in which he commanded the rest of the defence. From the first whistle, he was barking orders, deciding where the line should be and generally providing the kind of leadership role we’ve so badly lacked at the back. Joel Matip was widely regarded as our best defender, but he lacked authority next to van Dijk, which shows us how badly we needed elite defenders recruited. Hopefully our new signing can do the job today against Manchester City.